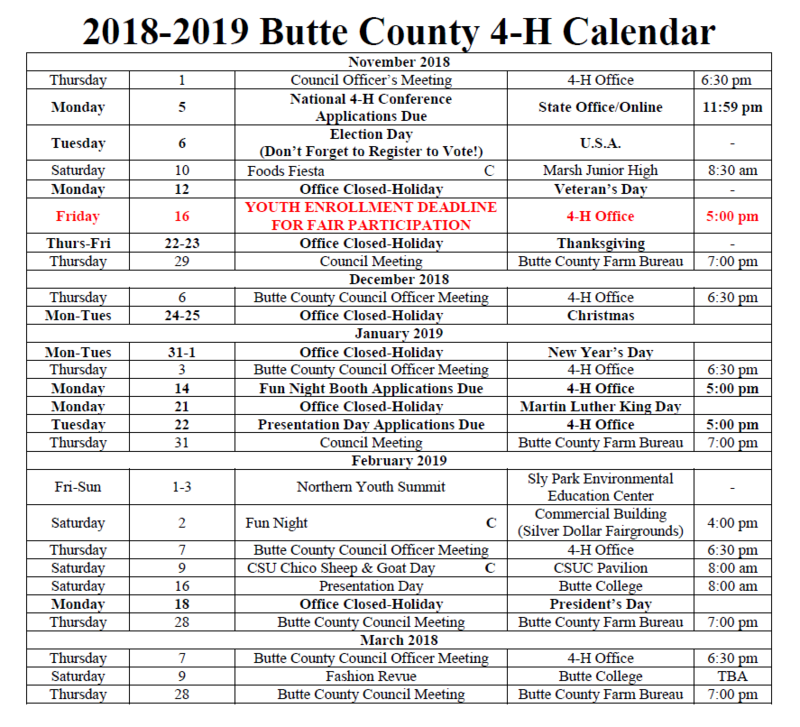 The Butte County 4-H Program provides a variety of events for members to attend and participate in. Below is the 2018-2019 calendar of events. A printable version of the 2018-2019 Calendar is provided by the link below. Please check back frequently for updates. You may also check the most current Cloverleaves for updates as well. 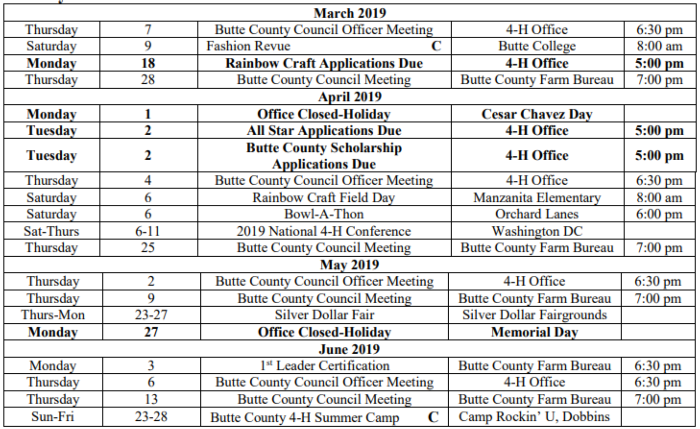 In addition to the County calendar, the California 4-H calendar and deadlines are located on the left side bar just under the "Butte County 4-H Calendar" heading. Events with a "C" next to them indicate a "County Event" which count towards a youth's three required events for Fair participation. Not all events with a "C" count as 4-H event in a youths Record Book (e.i. CSUC Sheep Day & Swine Day).